Livingstone International takes an active role in proudly supporting organisations that positively impact lives and communities throughout Australia. Livingstone is committed to providing access and resources of goods and services that are readily available to the community. With this partnership, it allows Asthma Australia to invest in research, development, education and training to better understand asthma and how best to manage the condition. Livingstone and Asthma Australia core visions andcommitments are aligned to deliver high quality support to people with asthma. Livingstone proudly supports HumanLogic working closely with Australian Disability Groups and Returned War Veterans in the development of revenue streams that will fund its social development and employment programs. HumanLogic offers guidance and support to integrate disadvantaged Australians into the community and workforce to improve equality. 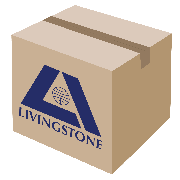 Livingstone is committed to providing employment and personal development opportunities to all Australians through sustainable distribution of goods and services; sharing the same values and commitment as HumanLogic to better equality for all Australians. 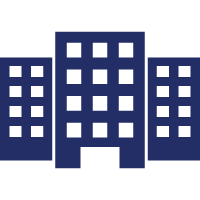 Livingstone is committed to providing access, resources or funds that are readily available to the community. With this partnership, it allows St. George Foundation to fund programs run by charities who are truly close to the families they help but who don’t attract funding from government and aren’t big enough to generate significant fundraising income. Since 1990, St. George Foundation has partnered with over 800 community organisations across Australia and invested more than $23 million to improve the lives of Australian kids who are physically, socially or economically disadvantaged. Livingstone and St. George Foundation core visions and commitments are aligned to deliver high quality support to disadvantaged Australian children.